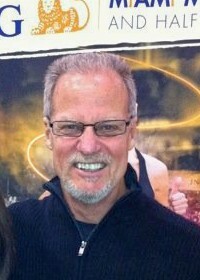 Toni Reavis is a U.S. based broadcaster / writer who helped pioneer the field of running broadcasting during the first running boom, beginning with his Runners Digest radio show in Boston (1977 – 1988). Since then he has traveled the world reporting on the sport, most notably as host of ESPN’s Road Race of the Month show in the 1980s and `90s. In 2009, Toni was inducted into the Running USA Hall of Champions. Today, Toni lives in San Diego with his wife Toya where he writes his influential tonireavis.com blog while continuing to broadcast events around the country. He also serves as a board member for the Entoto Foundation, a 501C3 charity bringing needed medical care to Ethiopia. Thanks, Don. Safe travels till then. right now I read an article which you wrote in 2013 about Felix Limo. you wrote if Felix Limo will open hiis Felix Limo house Ugali you will come. Finally Felix Limo did not open a house of Ugali after his retiering, but we open´d together te Fellison School in Eldoret for children in need. So you are most welcom there – I promisse you: if you come you will get your Ugali. Great job! Your article was right now.